There’s nothing better than combining recreation with education, and ECOS will be offering a chance to do that this summer in a new partnership with the Schenectady County Historical Society. On eight different dates, we will set out from the Water’s Edge Lighthouse Marina and paddle to the vicinity of the Glen Sanders Mansion, learning along the way. The paddling will be done by you. 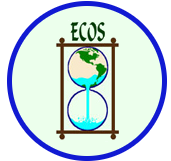 The learning will come from the Historical Society’s educator, who will talk about the history of the river and its surroundings, as well as from ECOS’ own experts and those we arrange for in areas such as invasive species, birds, and river ecology. The cost is $10, and includes the tour and kayak rental. You’re also welcome to bring your own kayak or canoe. Tickets will be available at www.schenectadyhistorical.org in May.